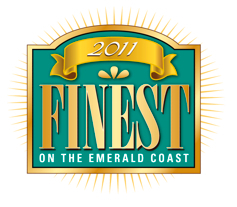 Voted by the public, Uptown Station’s very own Baskin Robbins has been voted as the Finest Ice Cream on the whole Emerald Coast! Congratulations – it’s something we’ve always known! This entry was posted on Friday, April 29th, 2011, 12:29 pm and is filed under Baskin Robbins, Restaurants and Dining, Uptown Station News. You can follow any responses to this entry through RSS 2.0. You can leave a response, or trackback from your own site.